This website is using WordPress. 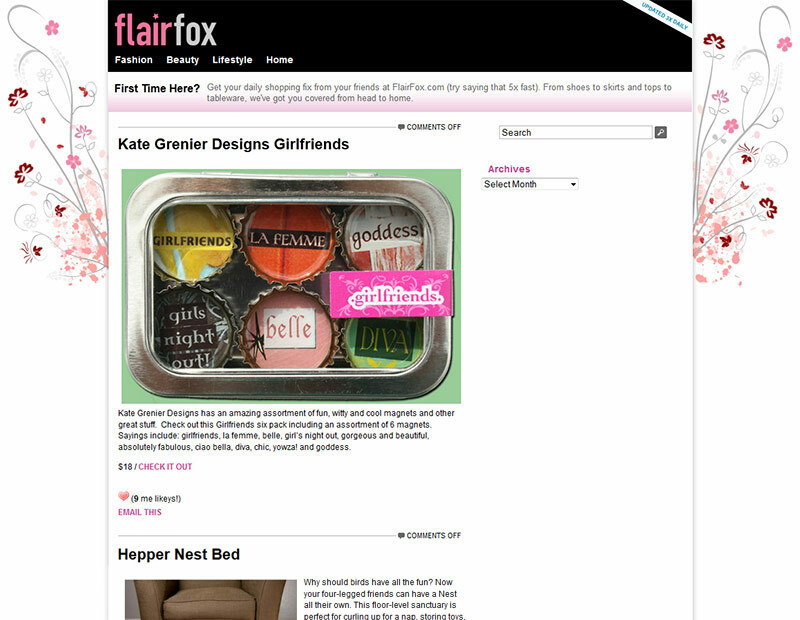 It is a magazine type of website using WordPress for women’s daily shopping ideas. The targeted audience age range is teens to late twenties. 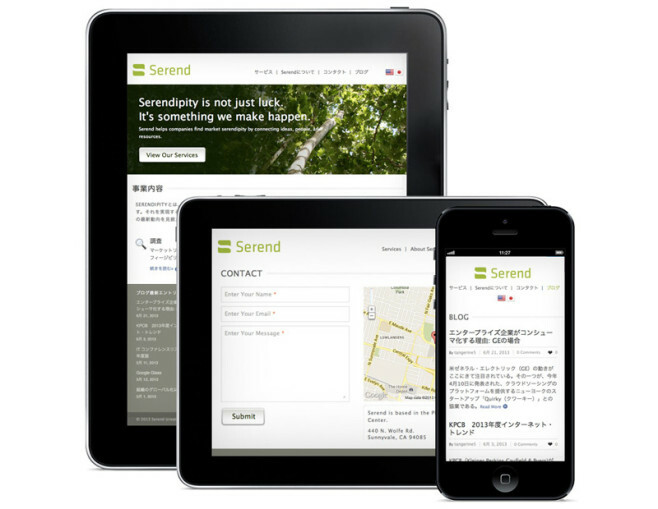 Serend helps companies find market serendipity by connecting ideas, people, and resources. The process of expanding any business into a new market goes through three distinct stages: Research, Strategy, and Development. Serend leverages an extensive network of resources to guide your company through each of these stages to success. 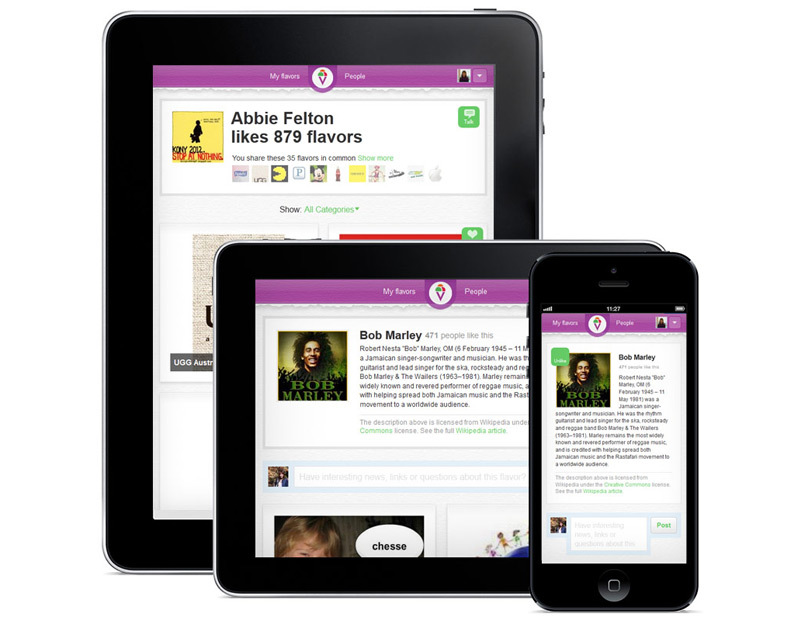 Socialflavor is where to engage with others around common interests. The website enables to communicate with people who have things in common, share interests, and become friends in common activities. 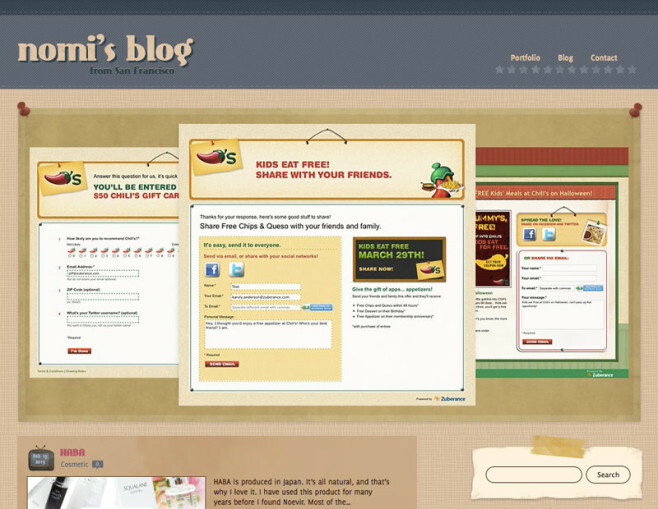 nomisan is a daily blog that introduces my interests such as spa and cosmetics. The website also lists my featured work and my daily tweets from twitter.